MCA 24K Gold CDs Shop MyMusicFix!! MCA 24-Karat Gold Out of Print Original Studio Masters are Audiophile musical masterpieces. 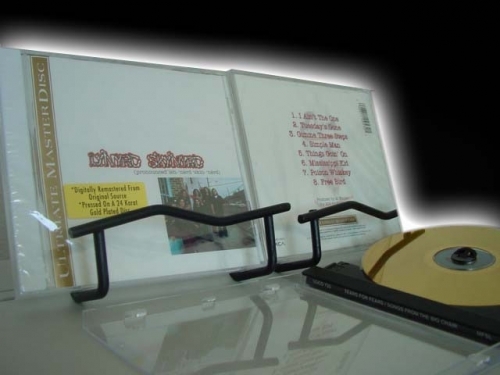 This was a very Limited Edition Series compared to MFSL, DCC and Sony, but captured some of the best titles ever available on 24-Karat Gold CDs by some of the best recording artists of all time. "B.B. 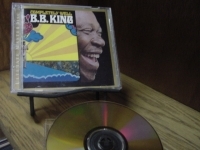 King, Completely Well (last copy)"
MCA 24K Gold CD Tracks Include: "That'll Be The Day" "I'm Looking for Someone To Love" "Words Of Love" "Not Fade Away" "Everyday" "Oh Boy!" 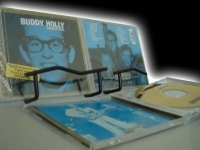 "Peggy Sue" "I'm Gonna Love You Too" "Maybe Baby" "Rave On" "Think Is Over" "Fool's Paradise" "Early In The Morning" "It's So Easy" "Heartbeat" "True Love Ways" "It Doesn't Matter Anymore" "Rainning In My Heart". 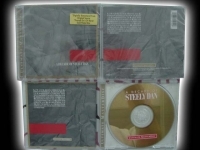 "Jimmy Buffet, Changes in Lattitudes"
MCA 24K Gold CD "Last Copies"
"Jimmy Buffet, Song You Know By Heart"
MCA 24K Gold CD "Last Copy"
"Lynyrd Skynyrd, Pronounced LEH-NERD SKIN-NERD - Factory Sealed MCA 24-Karat Gold CD - CURRENTLY SOLD OUT"
"Steely Dan, A Decade of - Factory Sealed MCA Gold CD"
MCA 24K Gold CD. Tracks Include: "Fm" "Black Friday" "Babylon Sisters" "Deacon Blues" "Bodhisattva" "Hey Nineteen" "Do It Again" "Peg" "Rikki Don't Lose That Number" "Reeling In The Years" "East St. Louis Toodle-oo" Kid Charlemagne" "My Old School" "Bad Sneakers". "The Who, Who's Next - CURRENTLY SOLD OUT"
MCA 24K Gold CD, voted the #13 album of all time. 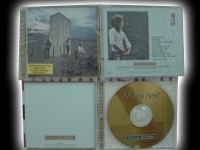 "Who's Next" features some of The Who's all-time biggest tracks including the Seventeenth Best Single of All-Time - "Won't Get Fooled Again" "Baba O'Riley" "Behind Blue Eyes" and more. Tracks Include: "Bargain" "Love Ain't For Keeping" "My Wife" "The Song Is Over" "Getting In Tune" "Going Mobile" "Baby Don't You Do It"